Hello to all my fellow Disney Geeks, welcome to Episode 44! This week we will talk about doing Walt Disney World like a local; from the best ways to enjoy a more relaxed approach to the parks to food, meeting and making friends and getting the best out of your trip like someone who lives next door! Joining me is my friend Scott Parker from the Taking the Florida Plunge website and blog, and he’ll help me make a very exciting announcement at the end of the show! So now sit back and enjoy, because if you are a Disney Geek, you’re among friends here! To enjoy the BEST of Disney travel, call Kingdom Magic Travel! 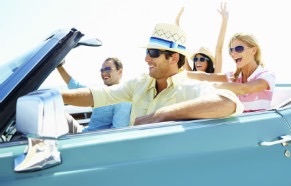 They will find the BEST deals and prices for you all at no cost to you! Tell them Rid sent you! 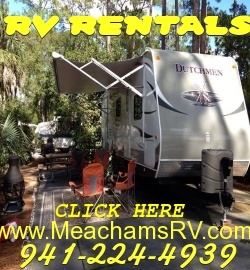 If you’d like to try a camping experience at WDW, call Meacham’s RV for special Fort Wilderness packages, and enjoy the best the Fort has to offer! SO EXCITED FOR YOU! CONGRATULATIONS! Whooo! Your excellent podcasts will be even better!